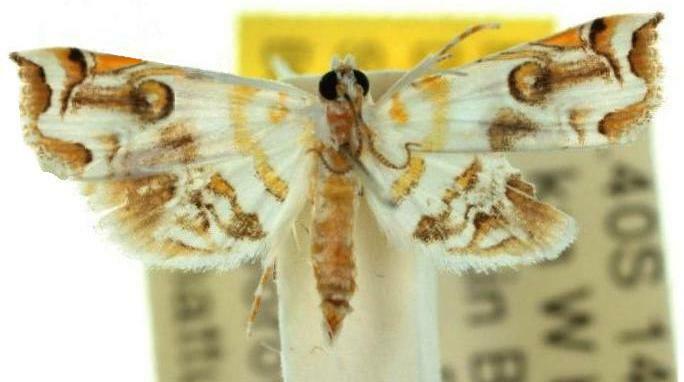 The adult moths of this species have white wings with various yellow, orange, and brown markings, outlined in dark brown. The wingspan is about 1.3 cms. Series 2, Volume 8 (1894), pp. 157-158.